Last week, I was involved in a professional discussion with teachers about the challenge of finding mentor tests for opinion writing. We came up with a few picture books that demonstrate some craft moves-- I Wanna New Room by Karen Kaufman Orloff and illustrated by David Catrow, Dear Mrs. LaRue by Mark Teague, Earrings by Judith Viorst and illustrated by Nola Langner Malone... However, as much as I love these books for their humor, voice, and structure, they don't provide the mentoring that would really help fourth-grade and up students see what they need to do in order to write high impact opinion/argument texts. Change.org has TONS of letters and petitions ranging from G/PG rated ones to more provocative, controversial issues. I am sure that you will find examples of opinion writing that will strengthen your workshop instruction across elementary grades and into middle school, as well! 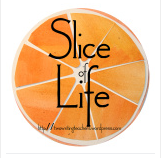 Tuesdays are Slice of Life day hosted by the writing community at Two Writing Teachers. Everyone is welcome to join in! Two weeks ago, I wrote about the read aloud work that our Staff Developer, Christine Holley, did for some of our first and second-grade teachers. I wrote in that post that I would share more about the "Grand Conversations" that followed a read aloud in a later post, and here it is. After reading her book, and it could be any picture book, or even a chapter book for older students, Christine had the first-grade students sit in a circle. Because they did not have much practice with having a full-class conversation about a book, at first she encouraged them to raise hands, but after a few minutes, as they got going, she made a BIG deal out of telling them that they could try not raising hands. "Just talk to each other," she said. "Try it out." When several students were talking at the same time (yes, that happened...), she stopped the class. "What are we going to do if four people want to talk at the same time?" she asked. One of the students suggested that they decide who would talk first, and then the others would automatically get to go next. The other students nodded in agreement. Within five minutes, the students were engaged in a conversation and Christine sat back from the circle as they analyzed why Leonardo did not want to be a monster any more in Leonardo, the Terrible Monster by Mo Willems. I loved that Christine invited students to participate, but did not pressure them. At one point, she interrupted the conversation and said, "If you haven't spoken, then you can go ahead and start us off," after she gave the class an open-ended question about the book. This question made many students reflect, thinking in a seven year-old way about whether they were talking too much or too little. When she ended the whole class conversation, she finished with, "If you didn't speak in today's conversation, that's okay because there will be lots of other chances to do it." I really do hope that there will be lots more chances for students to engage in this speaking and listening work! It was so powerful to watch them get the hang of participating in a meaningful conversation. 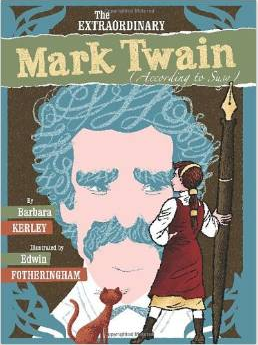 While I was at a small bookstore, I picked up a copy of The Extraordinary Mark Twain by Barbara Kerley and illustrated by Ethan Fotheringham. This would make a wonderful mentor text for information writing units because it is almost two stories in one. The book contains inserts written from Twain's daughter, Susy, who had a different perspective to share about her father. It is a wonderful example of narrative nonfiction, as well as a great teaching tool about how perspective and bias impacts what we think is true and how we express our ideas. 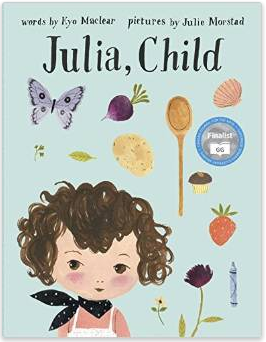 I also read Julia, Child by Kyo Maclear and illustrated by Julie Morstad. A loosely interpreted biography of Julia Child, this story focuses on an imagined friendship, weaving culinary concepts together with themes about life and living. It's another great example of narrative nonfiction for developing creative information writers. I have to admit that I spent more time during my vacation writing than reading. It’s hard to find time to do both when adventures and outings beckon. However, I did pack and read What a Writer Needs by Ralph Fletcher. This book was published in 1993, and somehow I missed it. I’m not sure even now what prompted me to take it from my shelf and read it, but I am so glad I did. Ralph Fletcher is confirming as a writer, as a teacher of writing, as a writer who reads, and as a reader! He breaks down the habits and mindsets of writers with such clarity, simplicity, and wisdom. This is a book that you will read and walk away with inspiration as well as practical ideas for teaching writers of all ages. Over the year, my high school daughters have asked me to read their essays many times, and I have been consistently struck at the clinical voice (or lack of voice) in their writing. Saddened by it, actually. Deeply saddened by it. Ralph Fletcher writes about the destruction of voice in writing instruction. Maybe they are writing about topics they care very little about. Maybe they are spending too much time on research and not enough time digesting and wondering about their research. Maybe they do not spend time orally rehearsing or even mentally rehearsing how their writing is going to go. 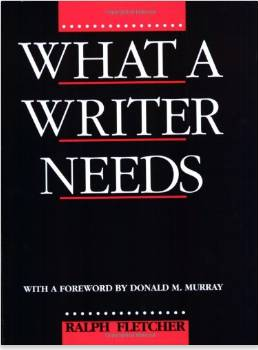 Anyway, I digress...if you haven’t ever read What A Writer Needs, read it. And if you have read it, consider reading it again. Today has been one of those days when it's hard to get going on my Slice of Life. Not because I don't have anything to write about--I could write about my coffee on the sunny deck or our encounter with a crabby diving mask salesman or swimming with sea turtles or being stalked by barracuda or deciding to walk to the restaurant three blocks down for late in the day key lime pie. The trouble with writing today is that it takes time. I have to thank Larkin because she gave me the push I needed. Larkin is at college, so we are having our first vacation without her. (Please notice that I did not write family vacation!) When we came off of the boat, I had a text waiting for me. Let's just take a moment and think about how happy it makes me that my daughter who is a college freshman has joined this writing community, and not only has joined, but reminds me of my commitment to it as well. When I responded that I needed ideas as well, she wanted to know about our day. She immediately texted me back that I had an amazing post. I just had to write it. I have tried to explain to Larkin that I work hard to keep a balance of education and life moments in my slices, so once again, I was trying to figure out how to make my foray into snorkeling with some cute and some scary ocean denizens fit into the mission of my blog which is educational, when I realized that the link is all about the writing community. This morning's call for quests asking if we are yearlong bloggers and Larkin's assumption that even on vacation I would be blogging inspire me and remind me of my commitment to write. Communities inspire writers. Thank you to Larkin and to the rest of the community. March Madness Book Edition 2015: Championship and Champion Announcement! 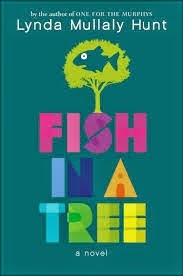 My class loved Fish in a Tree and One for the Murphys, by Lynda Mullaly Hunt, as read alouds this year so it was no surprise that both titles were voted into our championship round! 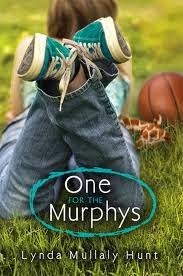 We are huge fans of Lynda Mullaly Hunt and for the past 2 years, One for the Murphys has been in our championship round and won! So I couldn't wait to see how students would vote between two of their favorite read alouds from this year because it was going to be a tough decision. This is the third class that has voted One for the Murphys to be the champion so if you have not had the honor of reading this book, I highly and strongly suggest that you pick it up to read soon! Anything by Cynthia Rylant, Patricia MacLachlan, Eve Bunting,or Kevin Henkes. 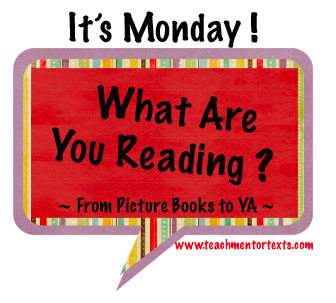 For small moments, Roller Coaster by Marla Frazee, Fireflies by Julie Brinkloe, and Owl Moon by Jane Yolen. I love the nonfiction books that Nicola Davies writes, because she includes such beautiful language and craft moves for hooking and interesting readers. Any of the National Geographic publications because they all feature catchy introductions and conclusions with an assortment of text features. I am constantly on the hunt for editorials and debate examples that I can share with students. Lego’s recent debate about whether to market pink Legos spurred some great writing of strong opinions about this topic. Youtube videos of persuasive speeches. Whatever craft moves work in speeches typically works in writing. Martin Luther King’s speech, I Have a Dream, is full of powerful strategies for opinion writers--repetition, images, personal stories, emotional references all appear in this historic speech. Develop or obtain grade level checklists for each genre- narrative, information, and opinion/argument-- and make them student friendly. Writing Pathways by Lucy Calkins is an incredible resource for student-friendly, genre-specific, spiraling checklists. If you don’t have access to this book, study the Common Core State Standards and develop some checklists that show progressions for students. For each type of writing, subtle difference ramp up the level and sophistication of writing. Once students learn to use these checklists or progression ladders, they can study the nuances that exist between grade level, as they move of the ladder of writing sophistication. Students who excel at writing will be inspired to set and meet goals in their written work. Set up seminars for students. Even students in lower elementary grades will like the concept of signing up for seminars, since even the name sounds collegiate and high level. Better yet, enlist some of your strong writers to become “experts.” Perhaps they can apply for expert status, by demonstrating the skill or presenting evidence of the skill in their work. It’s never too early to teach students skills that are involved with job applications. The picture below is of a bulletin board in a third-grade classrooms. The “experts” are thrilled to continue to develop their skill and feel a strong sense of responsibility to do so, while their peers enjoy learning from other students. Meanwhile, the classroom teacher is freed up to work with more students. Narrative is also a powerful genre for teaching readers. High functioning writers who have met the standards of information writing might really enjoy the challenge of embedding information into a narrative piece along the lines of a biography or a Little House on the Prairie episode. If you are comfortable with poetry, encourage writers to use poetry for any of the genres. Hopefully, somewhere in this post, you will find an idea that inspires you to challenge some of the children in your classroom who are brimming with writing enthusiasm. She talked about the thinking and the talking that happens in books, introducing the book, predicting what terrible would mean, and cueing the students to try to figure out why Leonardo was so terrible. She modeled visualization, challenging students to think about how big another monster was in the book. She gave the students an opportunity to act, asking them to show her what Leonardo was doing to be scary. "Show me just your face, not your noises," Christine directed when the students got carried away. She varied her voice, both the volume and the speed, so that students quieted down and engaged in the story. She maintained a purposeful pace and balance of interacting with the text, tucking in her thinking and modeling her personal connections to the story. She asked the students to turn and talk, scaffolding their conversations by writing "I think ________ because_________" on a piece of chart paper. When she asked students to share some of their thoughts, she asked them to say the whole sentence. This subtle move is so important in helping students practice the oral skills that help them develop their writing skills. "Always think about how we are going to engage the kids." “It’s really important to think about what the book introduction is going to be when you're doing a read-aloud." I always feel so fortunate to work in our district and get to be part of this sort of professional development. I hope that the snapshots and snippets of the day can inspire others out there! March Madness Book Edition 2015: Our Final Four Announced! If you have not had the honor and pleasure of reading these four titles, we highly recommend that you put them at the top of your TBR piles! The students realized today that 3 out of 4 of the titles were read alouds in our classroom this year! The students love these four books and already know it is going to be extremely tough to choose only one champion! 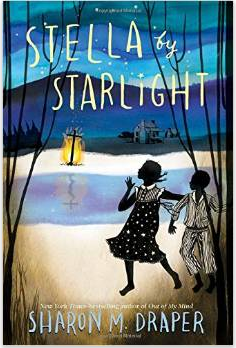 Stella by Starlight by Sharon Draper is a complex story set in North Carolina in 1932, as African Americans were registering to vote in hostile and dangerous environment. This book not only tackles historic themes of struggle, oppression, and racism, but also universal themes such as struggles with learning, empathy, and personal responsibility. With an engaging plot, Sharon Draper pulled me right into the fear, frustration, and anger of Stella's family, giving a personal look at the struggles for basic human rights that people endured in our country. I attended a conference in Boston put on by the John Fitzgerald Kennedy National Historic Site and the John F. Kennedy Presidential Library and Museum. Because Bryan Collier was one of the presenters, I read some of his books over the weekend. 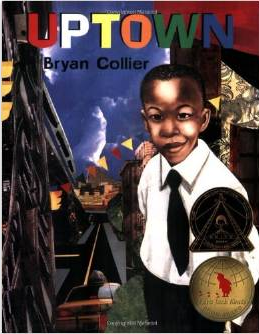 Uptown , Bryan Collier's first book, was inspired by The Snowy Day. This book contains repetitive language and strong images of Harlem. Collier's collages are beautiful and launched his career as an illustrator. 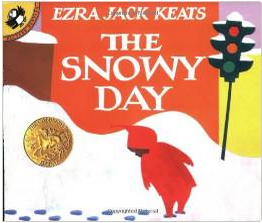 Because The Snowy Day by Ezra Jack Keats served as a mentor text for Uptown, I brought it home from the library and reread it. The simple language and drawings remain powerful, even after years of sitting on library shelves. It's fun to read these two books side by side and find the inspiration that Ezra Jack Keats' work provided to Bryan Collier. 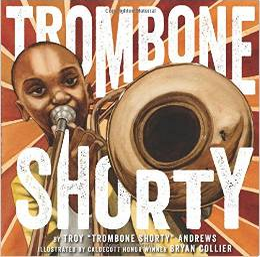 Trombone Shorty by Troy Andrews and illustrated by Bryan Collier was available for purchase at the conference and will be available in another couple of weeks in bookstores. It is an autobiography, telling the story of Troy's musical development in New Orleans. The words and language are lyrical, the images are memorable, and the collages are beautiful. This is another great book to add to collections of resilience, growth mindset, and perseverance. 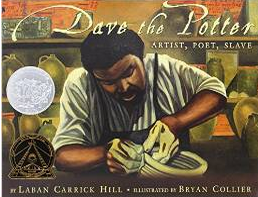 Dave the Potter by Laban Carrick Hill and illustrated by Bryan Collier is one of my new favorites books. Based on the true story of a slave named Dave who made over 40,000 pots during his lifetime, it is a wonderful example of narrative nonfiction. The amazing teachers at The Classroom Bookshelf have collected and mined an incredible collection of resources to add depth to inquiry lessons you can teach through this amazing story. March Madness Book Edition 2015: Our Elite Eight! Last week, it was time for us to vote for our Elite Eight! The results from our Google forms survey were close, but the titles in the Elite Eight are…. The students are already trying to make tough decisions about who to vote for Monday for our Final Four and are rallying behind their favorites by recommending them to classmates. We are working on argument writing during writing workshop, so students are getting savvy in setting up strong arguments for their favorite titles! This has also encouraged students to pick up and read books that they might not usually want to read, and they are finding out that they actually like the book! This has been a great lesson in how we can't judge a book quickly based on the cover or genre because we might really like them if we give them a chance! Stay tuned for our Final Four Results!